Fine Art prices have risen steadily. Please contact the Gallery for the latest prices and current inventory. Parsons does not offer Ward Lockwood prints, because no print can compare to the real paintings. Lockwood said about his art: "...of no one stream, but a part of all the living brooks and rivers I have known." 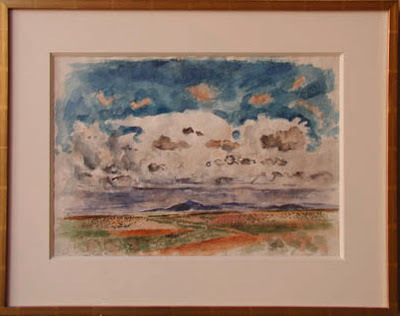 and one could not look at the landscape of Taos without seeing in it the work of Ward Lockwood." 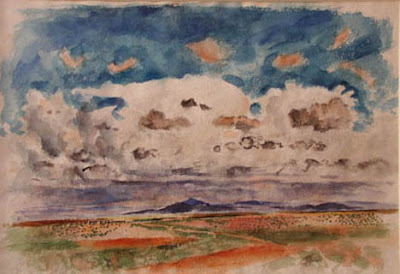 Alfred Frankenstein reviewed his art, saying: "a magnificent composer and painterly craftsman. and the total effect of his work is therefore one of completely ripened statement"
"He deftly moved from the figurative to the abstract, the gestural to the geometric, and the linear to the chromatic." muralist. Ward entered the world in Atchison, Kansas, September 22, 1894. In 1912 he began his first professional work as an artist for the Kansas City Star newspaper. From 1914-1917 he attended the Pennsylvania Academy of Fine Arts. From 1917 to 1919 Lockwood was a member of the Eighty-ninth Division of the American Expeditionary Force. In 1921, he was the art editor of Capper Publications. Then he returned to France from 1921 - 22. He retired from the Air Force in 1954, as a lieutenant colonel. 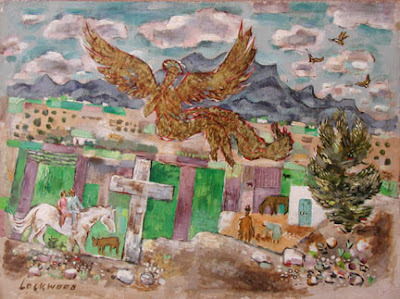 From 1948 to 1961 was a professor of art at the Department of Art, University of California at Berkeley. 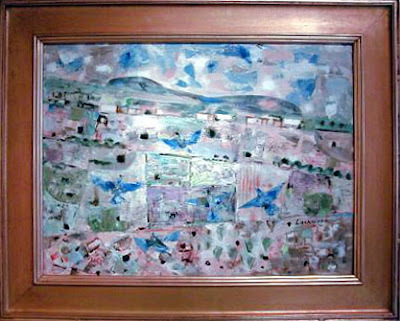 Lockwood was Artist-in-residence at the University of Kansas from 1957-1958. 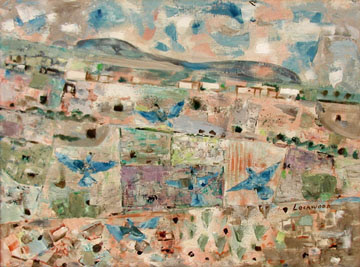 He went back to Taos in 1961. In 1962 he was a visiting professor at the University of Washington. 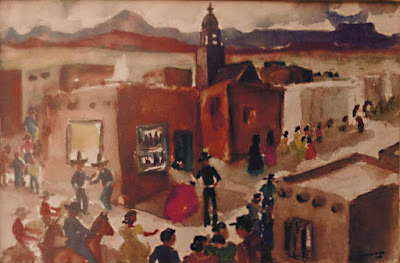 Lockwood died on July 6, 1963 at home, in Ranchos de Taos. He had more than 40 one man exhibitions and exhibited at the San Francisco Art Association. The Post Office Department Building, Washington, D.C.